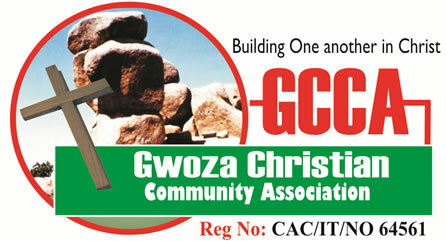 1)	Annual General Meeting of the association which will be held as agreed by the Board of Trustees. 2)	Monthly General Meetings to be held once a month. 3)	Meeting of the Executive Council. 5)	Executive Meeting shall be held twice a month or whenever the Executive Council deems necessary. The business of the Annual General Meeting shall be to receive the Chairman's report on the activities of the ASSOCIATION, its financial position, to remove and elect the Auditors and to fix the dues and other payments if any for the following year. The Board of Trustees shall meet at least once a quarter to examine the accounts and review the affairs of the ASSOCIATION. Three (3) members of the Board of Trustees of the ASSOCIATION shall form a Quorum at the Board of Trustees Meeting. The President in his absence, any other Officer Holder shall preside at all General or Committee Meetings of the ASSOCIATION and the presiding member will have a casting vote. The Board of Trustees shall at any time whenever requested in writing by at least (2/3) Two-Third members call a Special General Meeting. Upon such a request for a Special General Meeting having been duly received by the Board of Trustees, it shall within 21 days of the receipt convene a Special General Meeting. Notice of the Special General Meeting with a statement of its object shall be posted to members at least seven (7) clear days before the date of the meeting. It shall be 2/3 majority of the members present at the General Meeting. 1) Notice of Meeting shall be given to the members by the secretary either in person, in writing or by text messages. 2) In the case of an Annual General Meeting, a notice of 21 days shall be given. In case of an Extra Ordinary General Meeting a notice of 14 days shall be given. 3) In the case of a special business, the general nature of that business shall be made known. 4) A meeting of the ASSOCIATION notwithstanding the fact that it is called by shorter notice than that specified in this regulation shall be deemed to have been duly called if it is so agreed. 5) Resolutions at Annual General Meetings shall be passed by a simple majority of the votes cast by those present at the meeting. 6) No business shall be transacted at any Annual General Meeting unless a quorum of members is present at the time the meeting proceeds. 7) Each member shall have one vote on every resolution. 8) The President of the Board of Trustees shall preside as a Chairman at every General Meeting of the ASSOCIATION. Where there is no such Chairman or if he is not present within 30 minutes after the time appointed for the holding of the meeting or he is unwilling to so act as Chairman or in his absence any other officer holder shall preside.